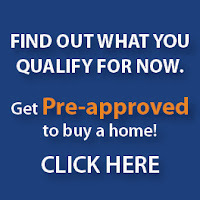 Current Louisville Kentucky mortgage�rates today 06/11/2011. “We contacted Joel back in July 2011 to refinance our Mortgage and he was great to work with. We contacted several lenders locally and online, and most where taking almost 60 days to close a refinance, Joel got it done in 23 days start to finish,I would definitely recommend him. He got us 3.75% with just $900 in closing costs on our FHA Streamline loan. Kentucky FHA Appraisal Requirements For A Mortgage Loan Approval.